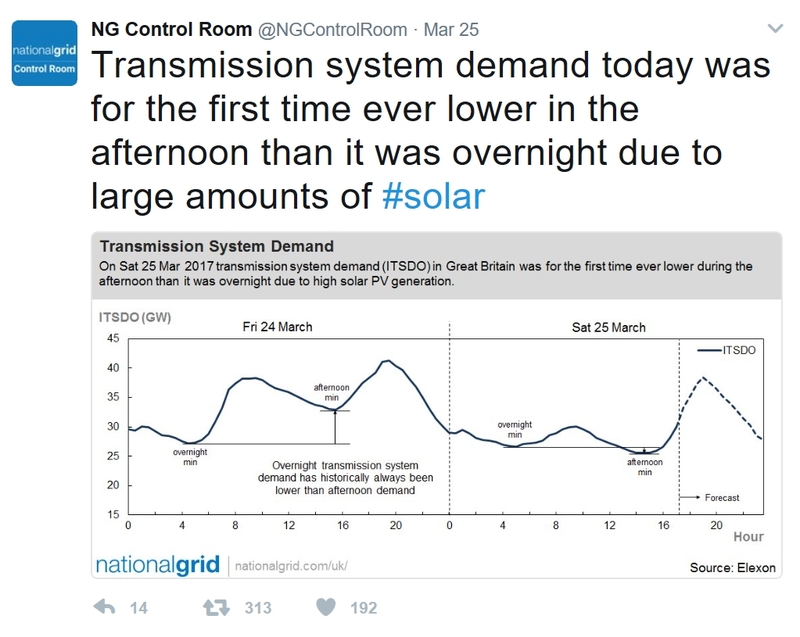 The need for the new Turn-Up DSR service was clearly shown on Saturday 25 March when daytime electricity demand fell below overnight demand for the first time, due to high levels of solar PV generation. According to government data, there is currently over 7.3 GW operational solar PV installed in GB, with a further 446 MW under construction, almost all of which is distribution-connected meaning National Grid has little operational visibility over it. National Grid has indicated that it expects to have to manage excess generation of 3-5 GW this summer. As more renewable generation comes online, the challenges for National Grid around network stability increase. 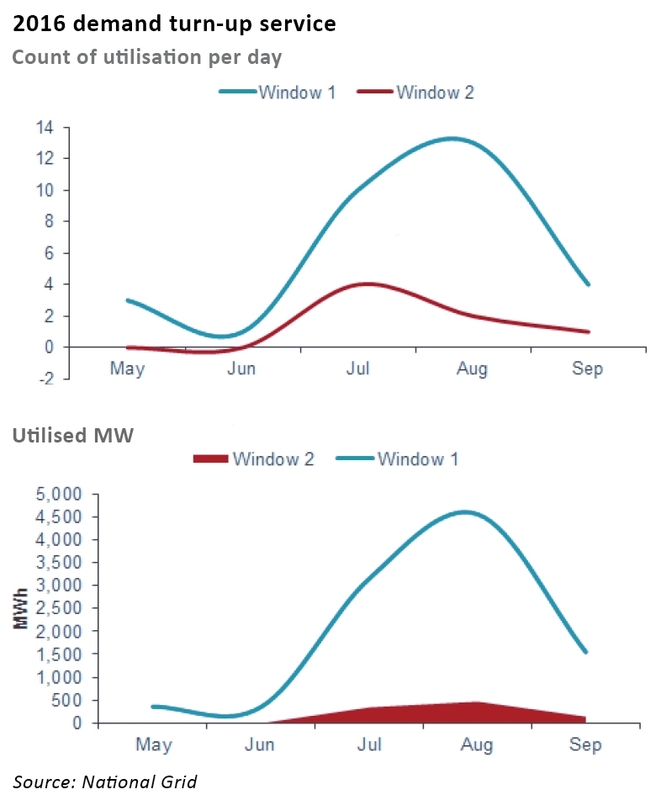 Supply and demand must be carefully balanced in order to maintain a grid frequency of 50 Hz ± 1%, otherwise there is a risk of blackouts, a task made harder by the relative unpredictability of all renewables, and in particular those that are not connected to the transmission system. 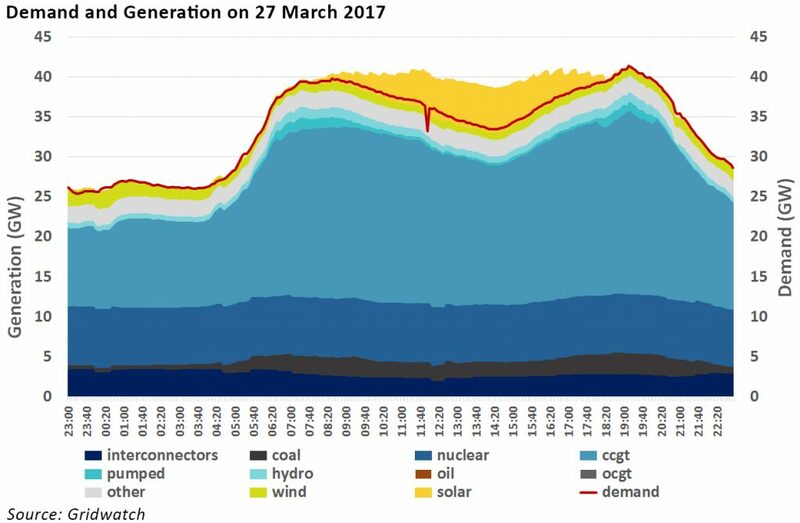 Days when wind and solar generation are high would typically lead to National Grid paying generators not to produce, which in the case of renewable generation is controversial. National Grid can avoid curtailment of renewable generation by asking electricity consumers to increase consumption during times of excess supply. While this might seem wasteful, in fact the scheme is designed to enable large consumers with flexible demand to shift their loads into these periods of high supply in order to help balance the grid. Summer 2016 saw National Grid’s first trial of a turn-up DSR service. 309 MW turn-up capacity was contracted, and called on 323 times. In response to the trial, National Grid has refined the structure of the service, reducing the minimum volumes of capacity that can be offered, allowing aggregators to deliver from multiple sites, and allowing multiples bids to be made for offer periods. Geographical restrictions have also been removed. Last month National Grid opened a tender for demand turn-up services over Summer 2017, and secured 138.6 MW of fixed capacity from six providers, at an average utilisation fee of £68.44 /MWh. Companies also receive a small availability fee of between £1.50 and £1.75 /MWh. Although this figure is lower than last year’s tender, National Grid will also be accepting offers of flexible capacity on a fortnightly basis throughout the summer. Overall, National Grid expects to have access to about twice as much capacity this year versus last year. The service will run during British Summer Time (27 March – 28 October) with two availability windows: the overnight window at 23:30-08:30 daily in March, April, May, September, October and 23:30-09:30 in June, July and August; and a day service window at 13:00-16:00 on weekends and bank holidays. The periods between these windows are classed as “optional windows” during which time providers may declare themselves available but would only be eligible for utilisation payments. ← Inductive charging: can it deliver a world without wires?